Hito Steyerl presents a proposition in “Art as Occupation: Claims for an Autonomy of Life” that claims, what used to be work has increasingly been turned into occupation. What is considered in this change in terminology is the ecological framework, and its implications for space and temporality. In relation to work, labor as Steyerl implies, starts with a beginning leading to eventual results. This then, defines work as a means of production that brings reward or a wage at the end. The instrumental relationship is labor as the activity, and work as the defining outcome. This brings Steyerl to ideas around occupation. She states that occupation does not rely on any result and has no necessary conclusion. The process in itself is what gratifies, which shows a lack of a temporal framework. As appose to work as a means of earning, occupation is based on spending time and resources. What Steyerl means by this is that occupation is a production that is fuelled by activity, service and engagement through autonomy. Steyerl then compares ideas of occupation and work to the context of art. She asks the question: what happens to the work of art within the transitional stage of work to occupation? She believes that the work of art too, transforms into occupation through the elimination of materialization within the actual work in which the context of art then grows into an area of activity, process or performance and lack of traditional means. What I believe this to mean and as an example is that when involving art and occupation, the context no longer relies on the production of materialized artwork, rather it involves the teachings, performances and sharing of ideas around art and the making of. Regarding the public, art as occupation keeps people and spectators busy and is seen as a popular occupational scheme in the cultural workplace. Steyerl explains that the cultural industry provided occupations (to her, also known as distractions) for people who were in many cases working for free. She also brings up ideas around art education in which she believes provides a relief from the pressure of public or private art markets for post-graduate students who feel threatened by these waters. Steyerl states that the idea of art education creates more possibilities for occupations, yielding fewer works and bringing more processes. But, to be an art educator, especially for undergraduate and post-graduate programs, is it not important to be an ongoing “worker”? Do you not have to be an ongoing art practitioner/researcher (work) while you are employed to teach (occupation)? This brings ideas of occupation and work together. Steyerl makes it seem as though art as occupation is a waste and destructive insult to labor, although it takes labor to get to a point of occupation. On another note, the creation of occupation, as Steyerl states, is more related to ideas of process and public teachings, and in regards to art as occupation in poorer parts of the world, Steyerl believes that this ideology in the public sphere would serve as a powerful deflection within capitalism in replacement of labor that is stripped of its rights, revealing art as an aesthetic upgrade in poorer neighbourhoods. The militarization of art reminds me of the project “Guardians of Time” by Manfred Kielnhofer who is under the impression that mankind is constantly being watched and protected by strange characters. 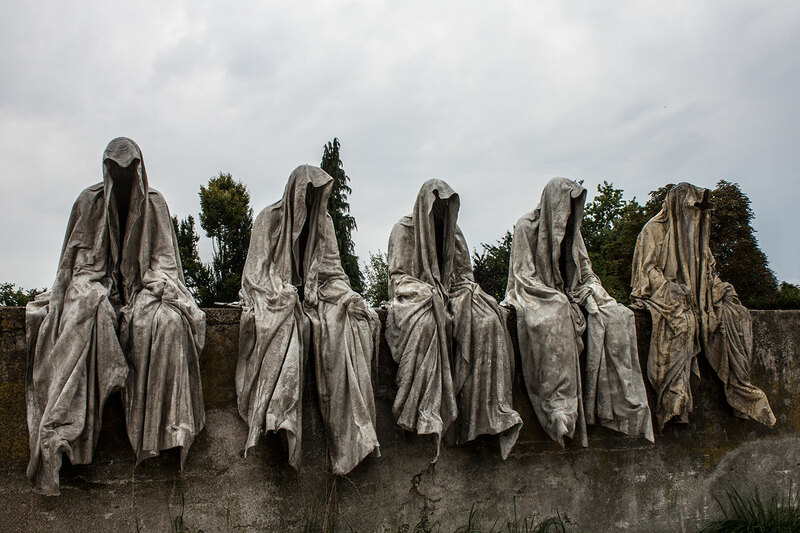 These hooded bodies represent the artist’s interests in human beings as model guardians who watch over public areas but also act as source of potential danger to mankind. The artist places these militarian sculptures in front of public places like ancient castles, squares and parks and speaks to the natural human desire for security. 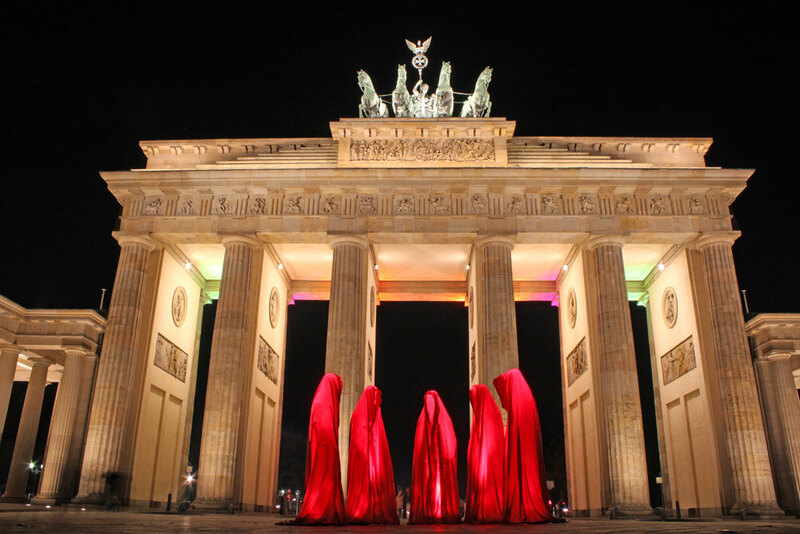 The project also speaks to the idea that art aestheticizes politics through surveillance, a theory that Steyerl mentions as Kielnhofer is using the work to send the message that people should never forget that they are always being watched by a power. Lastly, Steyerl discusses her opinion on occupation and the polymath: “the example of the artist as creative polymath now serves as a role model (or excuse) to legitimate the universalization of professional dilettantism and overexertion in order to save money on specialized labor.” On the contrary and on a more positive note, Tom Finkelpearl in “Interview with Paulo Freire: Discussing Dialogue” expresses the artistic polymath as someone who shares ideas through dialogue in order to improve social interaction; “art exists in its own aesthetic realm, separated from the world of politics or other social interactions. The thinkers and practitioners in this section could not be farther from this notion of aesthetic purity and isolation. They embrace the notion of dialogue, of sharing power and creating through a process of social interaction.” (Finkelpearl 272) While Steyerl makes valid points of how work and occupation differ from each other, especially in the context of art, I believe that artistic occupation and artwork can coexist and can be simultaneously acted upon by a practitioner while providing more simplistic reasons to why they exist as appose to solely support capitalist predicaments. Stereyl, Hito. 2011. “Art as Occupation: Claims for An Autonomy of Life.” e-flux.